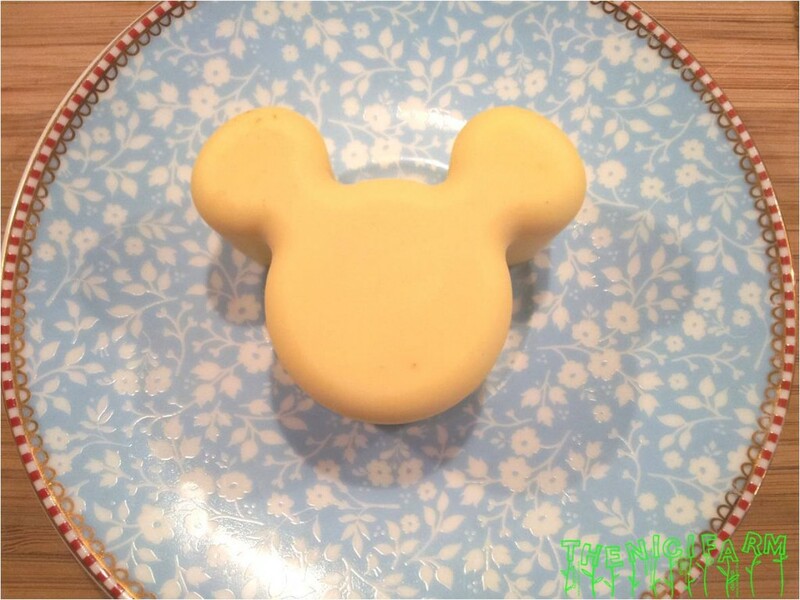 For this soap you only need few ingredients and it is easy to make! It is a mild soap good for irritated and sensitive baby (and adult of course) skin! I just love the mild smell and soft feeling on my skin!! 2) CAREFULLY AND SLOWLY ADD lye while constantly stirring. If you get some an your skin immediately neutralize it with strong vinegar. Let cool to about 30 °C. 3) Meanwhile mix oils in a large glass jar or yoghurt cup and slowly heat oil in a water bath to 30 °C. 4) Mix lye mixture into the oil mixture. 5) Mix with a whisk until it thickens until the whisk leaves traces in the mixture that stay visible for a few seconds. If it doesn’t thicken use a hand-held blender and mix until thickened. 6) Pour into silicon moulds (e.g.for muffins) or whatever form you want it to have. You can also use an empty and cut open milk box. 7) Cover in a towel to keep it warm and let sit for 24 hours. 8) After 24 hours take soap pieces out of the molds or cut into pieces as desired. 9) Let dry on a dry place for 4-6 weeks. In this time the soap will get harder and the pH will sink. This entry was posted in Baby and mom care, You're beautiful! !.